The authors regret that in the article “In Vivo Imaging of Venous Side Cerebral Small-Vessel Disease in Older Adults: An MRI Method at 7T” (Shaaban CE, Aizenstein HJ, Jorgensen DR, et al. AJNR Am J Neuroradiol 2017;38:1923–28; https://doi.org/10.3174/ajnr.A5327), the legend for Fig 1 contained an error. The figure does not contain data used for the analyses. Instead, this is an illustration of the protocol used for tracing. The figure with the corrected legend is reproduced below. 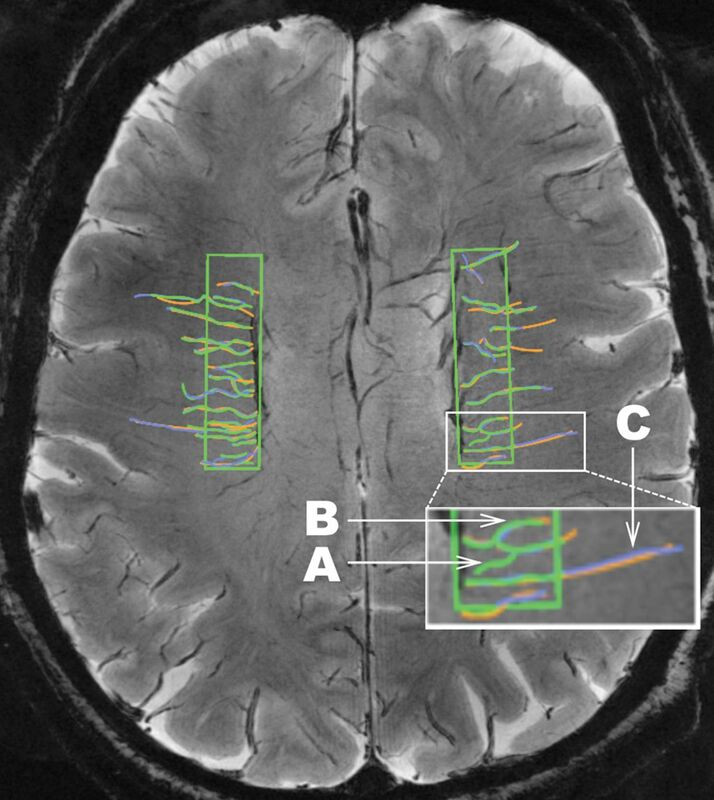 An illustration of the consensus venular tracing method used on SWI at 7T across ROIs in both hemispheres in the LIFE MRI study. Each rater traces the venules. A different color (green, purple, orange) is assigned to each rater, and the 3 sets of tracings are then overlaid. The inset in white is shown at larger magnification at the bottom of the figure to illustrate the following: A, Depiction of a venule that would not be included in the dataset because it was traced by only 1 of the 3 raters (green). B, An example of a tortuous venule. C, An example of a straight venule. Note that this illustration does not represent real data.